Arapahoe Basin, CO – Arapahoe Basin Ski Area today announced the implementation plan for its latest terrain expansion into The Beavers and The Steep Gullies. The commencement of this plan follows a comprehensive Master Planning Process and Environmental Review with the U.S. Forest Service, which approved the expansion in late 2016. 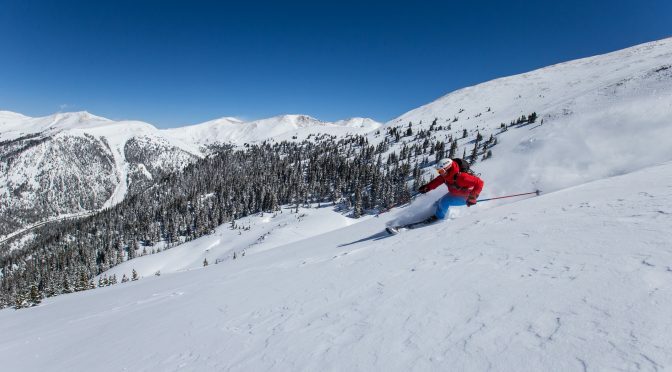 Located to the west of the current ski area boundary, the new terrain will add approximately 468 acres of skiable terrain to Arapahoe Basin, bringing the ski area’s total acreage to 1,428 acres upon completion of the project. The new terrain will accommodate a wide range of skiers, from intermediates to experts. Terrain in The Beavers will include groomed intermediate “blue” runs, open bowl skiing and advanced tree skiing. This terrain will be served by a fixed-grip quad chairlift. The Steep Gullies will be labeled as “extreme terrain,” with a double-black diamond rating. The terrain in The Steep Gullies will be the most challenging terrain offered at Arapahoe Basin. Guests choosing to ski The Steep Gullies can access them from the Pallavicini Lift and will be required to hike or skin back along a cat track to return to the base of that lift. 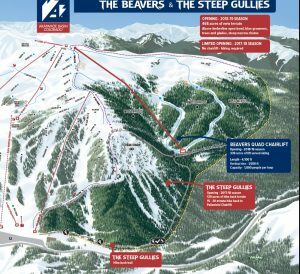 Long popular with sidecountry users, The Beavers and The Steep Gullies will remain unpatrolled and unmitigated backcountry terrain for the remainder of the 2016-17 ski season.